Stop choosing between energy savings and comfort. Adaptive Energy Management is an energy and related cost reduction strategy. 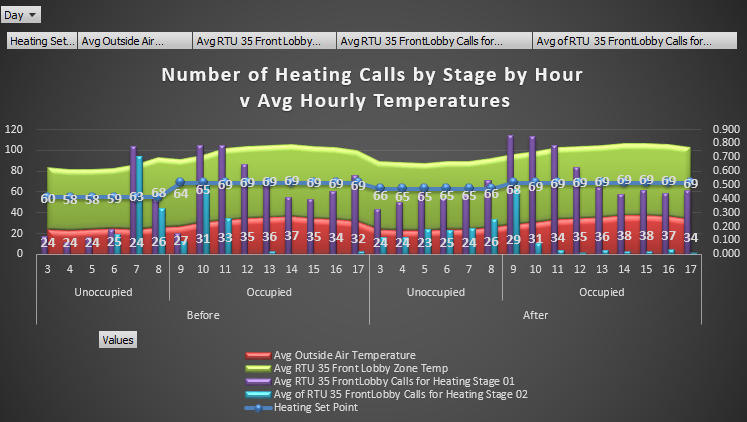 AEM uses a combination of software prediction, your business’ unique data elements such as building profile along with the earth’s natural rhythm to create a series of tactics to reduce energy loads, and shift those loads off-peak, while enhancing comfort. Adaptive Energy management is a 24/7, 365 days a year strategy that combines HVAC and lighting in a dynamic approach, vs. a “one-size fits all.” And when we say adaptive, is exactly that, adapting to the changing conditions such as weather and more. By taking advantage of relatively cooler nights, for example, and preventing dramatic swings in temperature, your existing RTUs, coolers, fans and more can be put to the most efficient use. Download a two page pdf of Adaptive Energy Management you can share with your team. AEM expert and PhoenixET CTO talks about balancing comfort, energy use, and savings.